You’re starting to loosen up. I like that. YOUR CONCEPTION of “white supremacy” is equal to that of the low IQ/high degeneracy set. You are clearly not low IQ. Excuse that lack of editing… I think faster than I type and sound out whole words in there that I miss typing. “We” are all apparently mired in self-annihilation… What is understood as General Entropy… Infinite regress. This is both meme and mindset. How to transcend is a question that resounds. How to “transcend” when LIMITED to a strictly materialist paradigm DISTURBS. Logic dictates ALL men believing to possess God-ordained free will able and capable of seeking Perfection AGAINST all obstacles. Logic also dictates ALL those rejecting God-ordained free will are severely limited to only grasping at “perfection” finding an infinite array of impenetrable obstacles to Perfection in the meantime. But logic isn’t exactly equal to reality. Reality is that PARTICULAR MINDSETS take those logics to their “extremes.” And the even deeper reality is that a particular mindset TAKES BOTH OF THOSE logics to their “extremes.” This is not a general phenomenon… A redundant phenomenon. This mindset is a target for annihilation… Self annihilation. How does one know what the directives of God ordained free will are? By how attuned one is to his acts of self-degradation. MERE NOTION of self-degradation. But, he ALWAYS has GENERAL ENTROPY to fall upon. Ergo, we all naturally degrade, but barely anyone notices the intellectual deception. It’s primitive dressed up in pseudo-intellectual posturing. One either has a feel for what acts are KILLING HIM or one does not? And then for those who can distinguish between self-annihilating acts and procreative acts, one then asks which direction and why? At one time amongst a vast swath of white men, it was self-evident that one moved in the procreative direction for the purpose of worshipping Perfection. Now, we breathe in an antithetical atmosphere. It is self-evident that we move in a self-annihilating direction because we worship nothing, ie., total “equality dogma.” A critical mass of “whites” now openly desire absolute collapse. Being attuned to self degradation is a subjective experience. How do you reconcile this subjective experience with your notion of objective supremacy? There isn’t a need for reconciliation… There is only a need to truthfully associate cause and effect due particular metaphysical assumptions. IF one rejects objective Supremacy… Rejects Perfection… Thereby declaring their base assumption to be “from nothing, something” THEN one simply DOES NOT APPREHEND self-annihilation. One came from nothing to be something only to be nothing again. Self-annihilation… Degradation against ability to ascend does not compute. Self-annihilation is incomprehensible. You fall in this latter category although you also call yourself a Christian. Your system is starting to make sense to me. I understand why you make the connection between morality and procreation and how you would then link these ideas to race. I still do not see the link between these ideas and the teachings of Christ. The Christian’s “operating paradigm” is Perfection… Ergo, a true Christian rejects ALL acts of self-annihilation. A true Christian is seeking to be wholly holy and not so divide himself amongst his “parts” as to lose even the mere sense of “whole” as a comprehensible “entity.” A self PURPOSELY divided WILL NOT stand. On what authority do you make the claim that the Christian’s operating paradigm is perfection? The Christian Assertion is Perfection exists… Asking on “what authority” pushes “nothing” persuasive. Our is a brute fact of true Christian belief. “From nothing, something” is a cold and calculated debasement of reality meant to stultify the spirit and stunt the soul. If it is the Christian assertion as you claim then it should be easy to point to at least one source (primary or secondary). Jesus Christ is Perfect… Ergo, He is evidence for Perfection. We are “forced” to believe until we can “witness” FOR OURSELVES. Are you passive or aggressive? Or, passive-aggressive? How do you go from “Jesus Christ was perfect” to perfection is the general assertion of Christianity? Jesus was also Jewish but I think we can agree that Jewishness is not the general assertion of Christianity. When I say “white Supremacy cast a wide net” this is an allusion to the proxy war that seeks to UNACCOUNTABLY annihilate genuine white Supremacists WITHIN the chaotic milieu of a self-annihilating “white” mass. Self-evidently, a white Supremacist, being synonymous with the greatest of white men, are going to be numerically rare. This makes the job of annihilating them (do not just think physical murder… Think first spiritual and intellectual mind war starting in childhood) that much harder (pinpointing a potential white Supremacist is no easy task). I, winstonScrooge, thereby declare that I am against the greatest of white Christians standing at the top. This is mind war and I conduct it on behalf of white Christians and their white Supremacist brethren. But I don’t make any of those assertions. So… You are not an anti-white Supremacist? At best I am indifferent. There is no “best” within any indifference. Moral neutrality is an illusion. It does not matter to me that you profess white supremacy in other words. You are free to hold what ever beliefs you want as far as I am concerned. But the self-annihilation entails YOUR belief in anti-white Supremacy to which you, with radically autonomous flair, attempt to claim indifference. It does not jive. I DO NOT BELIEVE in your freedom to espouse anti-white Supremacy ESPECIALLY AS A self-aVOWed Christian. Again, your beliefs have no real effect on me so why should I care about white supremacy enough to be anti? I am interested to know why you believe what you do and the logical nuances of your belief system however. Again, FORGET my beliefs… And focus on the consequences of NOW CLAIMING an indifference to genuine white Supremacy? Is such an indifference REALLY consequence free? Or, do you choose “indifference” because you believe it to bring the consequences you desire? This reminds me of your claim that I was feigning ignorance when I had trouble making sense of one your elaborate and convoluted responses. I’m telling you the truth. I am indifferent to white supremacy as long as they keep to themselves and don’t try to impose their values on other people with threats and intimidation. You ask is my indifference consequence free? I assume this comes from your fear that the white race is not replacing itself on par with other races. Well, I have replaced myself and I can’t force others to replace themselves if they don’t want to. It’s out of my control so why should I worry about it? Are you indifferent or indifferent AS LONG AS…. You seem to be still under the illusion that Liberalism is not the dominate paradigm using threats and intimidation to destroy white Christians. There is not a “fear” of a dying white race… There is THE FACT OF INFECTIOUS “white” self-annihilators who cannot understand that replacement level is 2 POINT 1 children per couple and not just the two who will eventually perish leaving wS nothing to continuing perpetuating. You need AT LEAST another .1. I have made no threat nor have I tried to intimidate any white Christian. Does this mean I am not a liberal? Does one believe in the “right” to self-annihillate? Does one believe in the “right” to “love, f$&k, screw” whomever one pleases including one’s self? At the same time, a “no” to both DOES NOT necessarily make one a Supremacist. I believe in the right to love whomever I please. Jesus himself said, “love one another as I have loved you.” But this is not the definition of liberalism. Have you redefined liberalism too? “Liberalism” has ALWAYS been about “loving” the wrong things. You are only now somewhat aware of this fact. Liberalism is about freedom. Would you want me to be able to take your freedom to exclusively love white people away from you? Perhaps you are a liberal as well. The genuine white Supremacist loves the right things, in principle. And I wouldn’t say the white Supremacist loves the white race. I would say he must lead the white race towards Perfection. Who decides what the “right things” are? How do you know your right things are better objects for your love than someone else’s right things? You believe in the efficacy of the last stance while I simply grant the first as immutable fact. Do you as a Christian look to the teachings of Christ as a guide for what is a right thing? What exactly do you mean when you CLAIM that you don’t what I mean? If somebody decides what is right that is necessarily a subjective decision. How can you base objective supremacy upon a subjective decision? Why can’t I just say my subjective decision is the path to objective supremacy? Is not what is Right, by definition, objective? You are trying to obscure your belief that nobody decides what is Right by implying a belief in everyone deciding what is “right” ALL THE WHILE rejecting the REALITY that “someone” decides what is right BECAUSE he embraces Right faithfully and fervently more this all others. What is right may very well be objective. But this does not mean everyone can subjectively appreciate what it actually is. You and I have different views about what we think is right regarding various topics for example. None of which subverts the idea that Perfection is He who wills all Right. Nor does it necessitate consensual agreement on what is Right, exactly. We can still know He who wills all right is perfect. In secular “game” parlance, he is victorious. Agreed but that is why I don’t judge other people who don’t share my view of what is right if there is reasonable grounds to differ. Where are there reasonable grounds to differ on the meaning of objective Supremacy? There are, perhaps, reasonable grounds to differ on what is “white,” but because we need not be exacting then the difference is largely just manufactured strife. If one denies a white man his moral autonomy to seek Perfection — which is very much the “nature” of “our” anti-white Supremacist regime — then one has declared himself fit for annihilation whether it be self-induced or irrationally provoked. For example, you claim that your theories on white supremacy are somehow rooted in Christianity. I completely disagree. I think I am being generous when I say that we can reasonably disagree on this point. It would be better to write that my absolute sense of genuine white Supremacy IS SYNONYMOUS with white Christianity AND THAT your disagreement is an act of deconversion. You have to go to that place where the > 135 IQ “white” atheist intellects go… They seek your VERBAL DECONVERSION… Victory without blood on their hands. I see no basis for your assertion. Nice new buzz word though. I’ll add it to my suprema-speak lexicon. I see no basis for your assertion that white supremacy is “synonymous” with Christianity and that I “deconverted” from anything. Then you possess no absolute sense of Perfection, ie., objective Supremacy… Is this attributable to your “white” race or not? Why does objective supremacy have to be connected with race? Why can’t I think about Perfection “outside” my “white” racial self? Because you don’t think about Perfection at all. I simply know what you tell me that you think… And then there is added speculation. When did I say that I did not believe in absolute supremacy or perfection? I think it was more a case of you claiming to have no absolute conception of objective Supremacy as Perfection. This is a psychological sticking point for most liberals AND Christians. I never said that. I think the length of this exchange has more to do with you not explaining your unique verbiage clearly and me trying to figure out what you actually mean. Feel free not to comment on my blog if you don’t want to. I feel way more freer commenting on your blog since you have given me an opportunity to clearly explain things. But you are obviously an above average intelligence (>120 IQ in all likelihood) who has his OWN conception of “freedom.” A conception less absolute and more relativistic. So that your conception of “freedom” is ALWAYS contigent upon the freedom of those relative to you whereas my conception of freedom is a certain destination to which no man has the power to truly block one’s pathway towards this certain destination… In the Christian’s case, Perfection, ie., objective Supremacy. Which makes sense to me. The part that does not make sense is your claim that the racial element is somehow Christian. Which brings “us” to the next psychological hurdle you must cross which paradoxically has you conceptualize the “white” in “white Supremacy” absolutely when it merely serves as a particular contextual identifier. So in fact, here “we” are witness to you sticking steadfast to the LIBERAL CONCEPTION of “white supremacy” where such a thing equals a “racial purity” greater than all others races. This liberated conception of “white supremacy” is the stuff of the “white” “racial purist.” But the “white” “racial purist” IS A RADICAL LIBERAL and not a genuine white Supremacist because, in fact, one cannot speak the language of race AND purity WITHOUT FIRST ACKNOWLEDGING a Perfection that envelopes EVERYTHING. Most “white” “racial purists” are anti-Christians, atheists, pagan or the like. Ergo, the “white” “racial purist” is an anti-white Supremacist. So again, it is NOT A MATTER OF ATTACHING the white race to Christianity… The attachment is ALREADY THERE… Long, arduous and intricate…. BUT COMING APART RIGHT BEFORE OUR EYES… Some within desire such a self-annihilation. I root them out as a matter of personal hobby. If one rejects the certainty of those variables… He rejects the sum total of his God-ordained free will. Or he is mired in radical autonomy. But you have made many statements about separating races and not living your neighbor. How is this not a philosophy of racial purity? How is this Christian? The subject of “racial purity” as it pertains to the liberal conception of “white supremacy” is in the idea that a group of individuals believe the white race to be a pure race and therefore the Master race. Let’s put aside for a second the sheer ridiculousness of acknowledging that this last of “thought-crime” taboos is rather impotent AT ANY SCALE. Meaning, whatever small minority of white individual’s advocate “white supremacy” on account of “racial purity” has no political clout… Force… Anything. It is FAKE “white supremacy” FOR THOSE SUSCEPTIBLE to gobbling up relativistic falsehoods. ONE CANNOT talk RACE AND PURITY without acknowledging Perfection. The GENUINE white Supremacist is not a “racial purist” because race is not a PURE concept. There is an obvious category error. The “white” in white Supremacy IS AN identifier… An indication of origin. A contextual application meant to EXPRESS SOMETHING MORE PARTICULAR about one’s endeavor. A NOD to those with similar origin. It is not Christian… It is a variant of radical liberation… So in fact, IT IS A LIBERAL CONCEPTION of “white supremacy.” Ergo, it IS NOT an ABSOLUTE CONCEPTION of white Supremacy…. 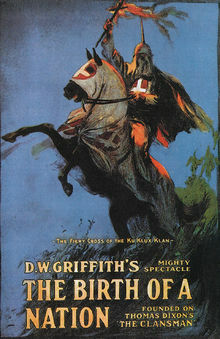 Your duplicity is in not “seeing” the above distinction and your repeated failure to simply acknowledge both the logic of some men faithfully seeking objective Supremacy over others and the historical fact that the white race has been the most fervent and faithful adherent of Christianity for the last what??? Then you are now AUTOMATICALLY the mad one, ie., one who has CERTAINLY lost his mind. No, how is your view of race Christian? How do you reconcile it with the command to love thy neighbor? My view of race is biological. My view of Christianity is through my biological mechanism. Ergo, my view of Christianity runs through my racial self. You, on the other hand, are attesting to a view of Christianity outside your racial self. The question is HOW DO YOU KNOW OF THINGS outside your racial self? Anything? Not just Christianity… What about banana milkshakes? How do you know of such a thing OUTSIDE your “white” self? I attest to a view of Christianity outside my racial self because that is what the perfect man calls me to do when he says love thy neighbor. The command is to love thy neighbor LIKE THYSELF… But there are some assumptions one MUST ATTEST TO… First, he is commanded to give ALL HIS LOVE to God AS THE WAY to express his love of self. He is not asked to deracinate in order to love thyself or thy neighbor. He is not asked to step outside his racial self to love at all for it is absolutely unnecessary to do so. Secondly, thy “neighbor” IS NOT DEFINED as an alien. One’s “neighbor” is, in fact, a lovable “thing” and not something unlovable due its totally alien nature. In totality, the commandment to give all love to God as expression of a love for thyself is then extended to a lovable neighbor of like mind. When this whole line of command breaks down because one either ignorantly defines “love thyself” or one deceptively redefines “neighbor” then “we” understand that liberal ideology has infected Scripture in the mind of a particular adherent. I agree that to love God is to love the self. However, I disagree that neighbor is not defined as an alien. Look at the story of the Good Samaritan. It’s seems that the lesson states a neighbor = Good Samaritan and not neighbor = alien. Samaritans were aliens to the Jews. That’s the point of the story. You are here defining alien as “unknown” whereas I am defining alien as “hostile” (and neither an “unknown” or “alien” quantity can be redefined as “neighbor”). The current course of liberal “Christianity” is to force hostile aliens amongst itself in a sort of self-induced persecution THAT it ALWAYS SUCCUMBS to over the long term. The Samaritans and Jews were hostile towards one another. You believe Christ teaches one to not only live next to hostility… But also love hostility like thyself… Even to the point of this hostility annihilating you. I UNDERSTAND THIS INTERPRETATION QUITE WELL… It is the LIBERAL interpretation. It is why I call myself a white Supremacist so as to separate and distinguish myself from those self-annihilating “white Christians” like you who give the perception of total weakness and passivity even in the face of utter evil. In fact, your interpretation boils down to the more evil one is to confront, the more submissive one is to be to this evil. You are now in the position of saying that I cannot call myself a white Supremacist and conflate myself with Christianity because true Christianity is not striving towards Perfection, but self-annihilating before Evil and thus EQUAL to the panoply of other self-annihilating religions like Islam and Judaism and Buddhism, etc. But you are wrong. Dead wrong. You only need give it time. The man in the parable had mercy for the Samaritan who was in no condition to threaten him. I don’t see how his actions were in any way self-annihilating as you say. And which is why no one would perceive them as “neighbors.” THEY were commanded to get along as two known hostile quantities. How does this extrapolate into modern “white” self-annihilation in the name of Christ? Jesus said the one who showed the man mercy was his neighbor REGARDLESS of his ethnicity. In other word race does not factor into the Christian message. It is action and intent that matters. So the good Samaritan only matters because he was “good?” That he was a Samaritan means nothing? I am simply reading the plain meaning of the gospel. If your personal philosophy conflicts with the plain meaning of Christ’s teachings maybe you should rethink labeling yourself a Christian. You are now CLAIMING that Christianity DEMANDS pathological deracination… What the alt-rite calls “pathological altruism” and I just plain call self-annihilation because man does not and has not ever lived outside his racial self and thus never perceived the world WHOLLY in this state. Why do you equate loving your neighbor without reference to race with pathological deraciation? You are forsaking your racial self and then claiming to wholly love… Impossible. Self-annihilating. Not forsaking. Just not putting it on the top of my priority list. Nothing self-annihilating about it. So how do you get past the plain meaning of the Good Samaritan parable according to your theories on race? Your insistence that origin means nothing or must be “top priority” is a self-beneficial false dichotomy. No one gains knowledge outside his origin… One’s origin will always encapsulate him no matter how hard he tries to cut at his very root… The “best” that can be done is self-annihilation and eternal infamy and enmity amongst his fathers for the last one who quit. If being indifferent to everything you just said means I am anti-white Supremacist in your eyes then so be it. But none of this means that your racial theories are the least bit Christian as is clearly demonstrated in the Perfect Man’s parable of the Good Samaritan. I think “indifference” in any respect is a variant of “radical autonomy” and thus not at all to be found in the pursuit of Perfection. Meaning, there is no mandate to be indifferent to an aspect of reality in order to reach Perfection. In fact, it is nonsensical. “We” know this belief to be the belief of the radical liberationist. How do you reconcile your racial theories with the perfect man’s parable of the Good Samaritan? I don’t need to reconcile my race with the teachings of Christ. That doesn’t even make sense. What exactly is being reconciled in your mind? Have you found YOUR RECONCILIATION in deracination? How is this a teaching of Christ? The parable of the Good Samaritan defines what “neighbor” means within the context of the commandment “love thy neighbor.” It is not defined by race but rather by action and intent. This is directly opposed to your racial theories which you claim to be Christian. They clearly are not but you are resistant to admit this obvious truth. You may disagree with this assertion, but your disagreement does not then create a false dilemma that I must reconcile. One CANNOT know this world outside his Self… One’s race is an aspect of Self… To know Christianity outside your racial self MAKES NO SENSE… Literally, incomprehensible as one needs their whole Self to possibly know anything wholly INCLUDING Christianity. So again… There is no dilemma other than your insistence that Christianity teaches pathological deracination as THE way to know Christianity. This is pure nonsense and Christianity MUST MAKE SENSE to be True. Yes, I am sticking to the plain meaning of the narrative. Christianity is indifferent to race as am I. There is nothing pathological or radical about it. The idea that Christianity can be both true and indifferent to reality IS A RADICAL CLAIM! The very claim made by untold number of radical liberationists. An even more radical claim when recognizing the total lack of necessity… In other words, Christianity being “straight” on race in no way subverts Christianity. How else would you read the parable of the Good Samaritan? You are only one talking about racial annihilation. That is because as an infectious psychological disease, “it” matters, your indifference to reality in the name of Christ, notwithstanding. The Good Samaritan did not take race into account when he decided to help the Jewish man. According to Christ himself this act made the Samaritan and the Jew neighbors. Ok… Then why tell “us” that he was a Samaritan at all? Why not just one good man helping the helpless Jewish man? You’re still stuck in relativist conceptions of absoluteness. Christianity is not coercive. White Supremacy has nothing to do with Jews… The only “relationship” is to Jewish anti-white Supremacy. You are unable and unwilling to dissect the nuance. Because it demonstrates that race should not matter when it comes to loving your neighbor. I think the IDEAL to look past one’s “particular parts” to “see” his WHOLE in his TIME OF TRUE NEED. This is WHOLLY separate from a collective of white men all pursuing this ideal in voluntary uniformity. You would deny the legitimacy of such a movement based on erroreous interpretations of Scipture. No the perfect man told the parable in response to the definition of neighbor in the context of the second greatest commandment love thy neighbor. There was no reference to a time of true need. And many would call that ^^^ love… JUST love. Think of the length of this exchange just to get you to AT LEAST acknowledge that A may equal A and 1 might equal 1 and so objective Supremacy could equal Perfection? But this is only the very first psychological hurdle… There are several more. There can be no restriction on belief in objective Supremacy, racial or otherwise. The ONLY TRUE RESTRICTION to man believing in and thereby striving towards objective Supremacy is sheer will. It is in your denial of this latter reality THAT HAS YOU DOUBT the reality of Perfection itself. Perfection is He who will all right… Empirically, this is Jesus Christ. His EXISTENCE IS empirical evidence for Perfection… He who wills all right. In secular game parlance, the most efficient path to victory is through the execution of ALL THE RIGHT moves. Ergo, he who wills all right is perfect… Victorious. This is simplified game theory linguistically elevated to account for the spiritual players. Again, what you deem “racism” is really just exaggerated emphasis of a “part” of the self to the ultimate denigration of other “parts” and this the whole self in general. Luckily, “we” are not confined to that false dichotomy which at a “deeper” level is just fundamentally another sort of radical autonomy. Meaning, those who put everything into race ALSO reject objective Supremacy. So the division is really a false one. Origin + Destination > Oblivion… White + Supremacy > Self-annihilation.